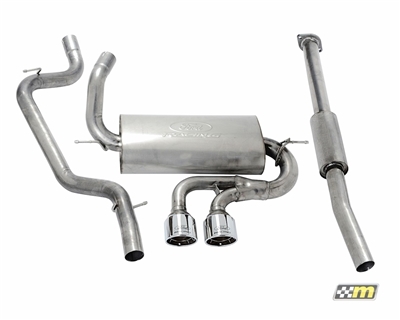 The Ford Racing cat back exhaust compliments your Focus ST with a deeper , sportier rich exhaust note. Manufactured from stainless steel with smooth mandrel bends and twin polished 4.5" tips complete with the Ford Racing logo. Engineered with 2.5" primary tubing to control the overall noise while still allowing higher flowing performance. Installation is straight forward and all required hardware is included.